Last week's announcement that Laurelwood will be partnering with the Craft Brew Alliance for a portion of its production brewing caught some people flat-footed. It was unexpected. But make no mistake, it's a huge deal. With something for everyone. The details of the deal have been reported in several places, notably by John Foyston here. Essentially, the deal will expand Laurelwood's capacity to around 20,000 barrels a year. They brewed just over 5,400 barrels for Oregon in 2012, according to OLCC numbers, and another 1,300 or so were sold out-of-state. The bulk of the new production is going into 12 oz bottles of Workhorse and Red (which will not be organic in bottles). Putting their most popular beers in six-packs is something owner Mike DeKalb has been thinking about for a while. And it makes sense. 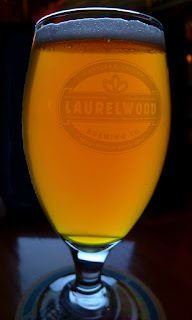 Laurelwood has built a solid reputation via 22 oz bombers and kegs in Oregon and Washington. Smaller bottles are a logical step because six-packs remain the most popular form of retail packaging in beer. They aren't going to have to go out and find places to sell this beer. 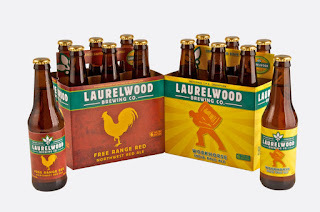 Laurelwood has already built demand for its beer in Portland and beyond. They have put a ton of effort into developing Seattle, one of the best craft beer markets in the country. In fact, they have been unable to fully develop all of their markets because capacity at the Sandy brewery is maxed out. "We've been putting 80 percent of our production effort into Workhorse and Red," said Micah Bell, Laurelwood's director of marketing. Portland was apparently getting 85 percent of what they were producing. With a good portion of that production moving to the CBA, they will now be able to fill distribution holes in Oregon and Washington. Alaska, British Columbia and California are on the horizon. Some 12,000 barrels of the additional production capacity will be at the CBA's Woodinville, Wash. facility. From a strategic standpoint, this is perfect because a lot of that beer is going into the Seattle area. Brewing and bottling it in Woodinville means the beer will be at its best when it hits store shelves. Woodinville fits into Laurelwood's plan almost perfectly. One of the more significant things about this arrangement is it allows Laurelwood to continue to develop its markets without investing in a production brewery or bottling plant. Many thought they would open a production facility after the Sellwood pub launched last year. There's no doubt DeKalb considered it. With the CBA deal, he can delay a decision on that. He may very well build a production brewery at some future point, but delaying the decision gives him more time to figure out what it looks like. Of course, people are already wondering if beer contract-brewed by the CBA will live up to the standards of Laurelwood's relatively small operation. I am generally not a fan of contract brewing. However, Laurelwood brewmaster Vasili Gletsos has significant experience on large production systems from his time at Pyramid. 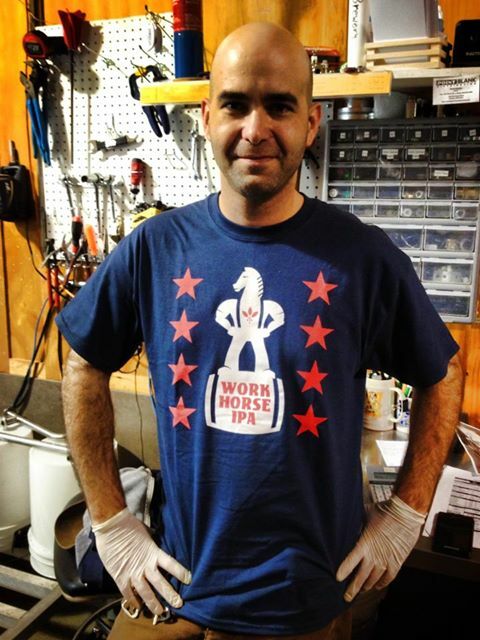 He will be working with highly competent CBA brewers to ensure solid production values. We'll see how it works out, but I get the feeling things will be fine. For fans of Laurelwood here in Portland, shifting production will be huge. They will continue to brew for 22 oz bottles at the Sandy brewery and the organic brewing program will be maintained for beers served in the pubs. More importantly, Vasili and his crew will be freed up to create more specialty beers. I'm looking forward to the specialty board having more options. And I suspect some of these beers will make their way to better shops around town. This deal has something for everyone, for sure. Seems the much sort after WIN/WIN. .. Want to report: I saw Red Hook IPA in Super Brugsen [food market] in Island Brygges district of Copenhagen yesteday. .. Stating the obvious, this illustrates the advantage of CBA partial ownership of / distribution by AB-InBev.